The 19th-century explorer John Wesley Powell predicted that the lack of water would cause problems in the western United States, and he recommended that state lines be drawn according to watersheds instead of according to other political boundaries. He believed this would encourage residents to conserve water instead of fighting over it. He drew a map of the West that suggested what those states could look like. John Lavey of the Sonoran Institute has drawn a national map that follows on the states-by-watershed idea. Click to see a larger version, or go to http://www.flickr.com/photos/108072018@N03/10929250216/. The 19th-century explorer John Wesley Powell envisioned developing the political boundaries of the arid American West based on watersheds. More than 120 years ago, he predicted the potential for fights over water. Powell, who is best known for his expeditions on the now-conflicted Colorado River, originally suggested the boundaries-by-watershed concept would push water users to be more efficient with water, specifically agriculture. He realized the West’s arid climate would not support agriculture in the same fashion as the eastern United States, as explained recently by John Lavey on the CommunityBuilders.net blog. Powell believed the watershed concept would push development to more efficiently use water without the political fights between jurisdictions. 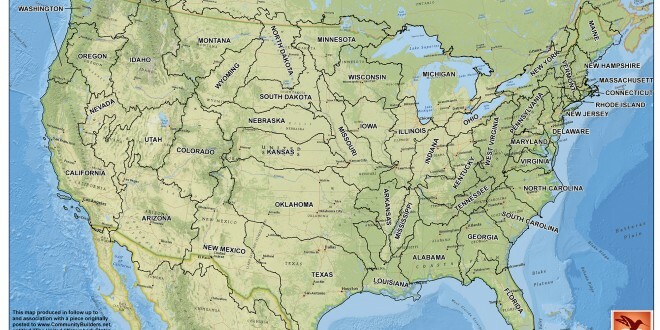 John Lavey, a land-use planner for the Sonoran Institute, recently created a full United States map depicting what that kind of nation might have looked like. 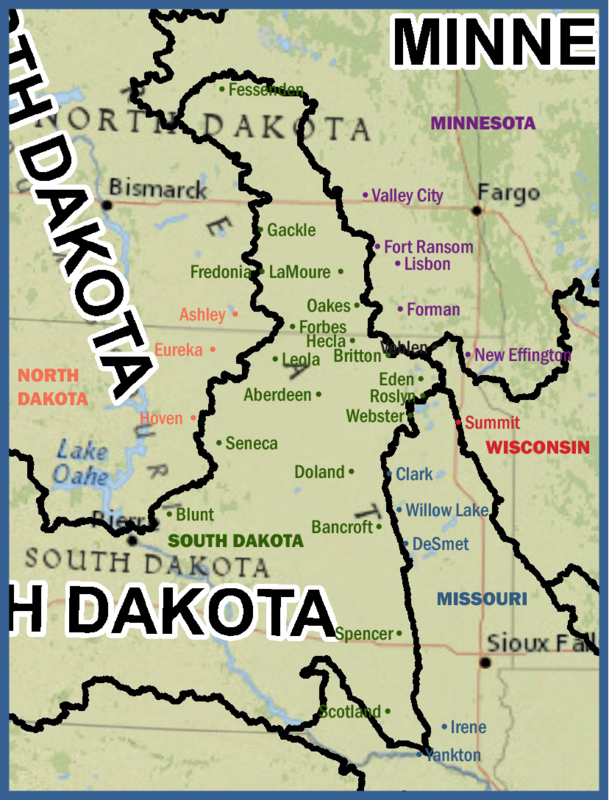 Around the James River Valley especially, the boundaries would have been vastly different, as the territory Dakotafire now reaches would have been in five states instead of two. Powell’s watershed boundary vision did not come to pass, but the conflicts he envisioned did—including here in the Dakotas. In eastern South Dakota, changing land use coupled with a wetter climate has challenged water management across landowner, county and state lines. But, right now, no clear system exists, at any level, to look at how to most effectively and efficiently manage the water, specifically flood control and drainage, across those lines. “It’s just a haphazard, non-uniform system right now,” said Mike Traxinger, legislative director with South Dakota Farmers Union. Over the past year, Traxinger has worked to learn the political issues surrounding the watershed management concept. He’s learned there is a desire for a fair and uniform system that also allows for local control but without too much regulation—desires that require careful balancing, since they could easily conflict with one another. Currently, drainage issues are managed on a county-by-county basis, and even that is hit or miss. Not all counties manage drainage. The counties that manage drainage often operate differently. And, in the past 20 years, Traxinger says counties have shied away from regulating drainage. Decision-making can be costly between the need to hire a professional engineer to understand the drainage and the fear of liability. Another challenge in creating a watershed management district stems from crossing the jurisdictional boundaries. How do you determine who gets to vote for leadership in a watershed that spreads across multiple counties? The bottom line, however, is that the water has to go somewhere, regardless of political boundaries. Traxinger envisions a sort of hierarchal system that allows control at the local, regional and state levels. At the state level, two bills (SB169 and SB 160) proposed in the 2012 South Dakota legislative session to address watershed management in eastern South Dakota were essentially mashed up to create the 14-member regional watershed task force for a three-year study of eastern South Dakota. Brad Johnson, a former member of the watershed task force and current chair of the state board of water and natural resources, points to two specific issues involved with watersheds. He’s most interested in flood control and water quality, though the task force is looking more at flood-related issues. The flood-related issues have become exacerbated by a wetter climate and changing land use in eastern South Dakota. As producers shift to more corn and soybeans, water runoff has increased compared previous stronghold crops like wheat, oats and flax. “The change to corn and soybeans means the land will not hold water like it used to,” Johnson said. He pointed row crops resulting in 80-90 percent runoff. “Studies have shown, particularly along the Big Sioux River, the river responds much faster to a rain event than it ever used to, which leads to the increased frequency of floods,” said Johnson. Producers are pushing for more acreage, therefore installing more drain tile, which increases run-off and flood potential. Johnson, who also works as an appraiser in the Watertown area, realizes the economic value of installing drain tile on ag land, but he doesn’t like it. This puts communities at risk, not only for flooding but for pollution and water quality issues. Further, the change in crops and increased drain tile also affects wildlife, he says.